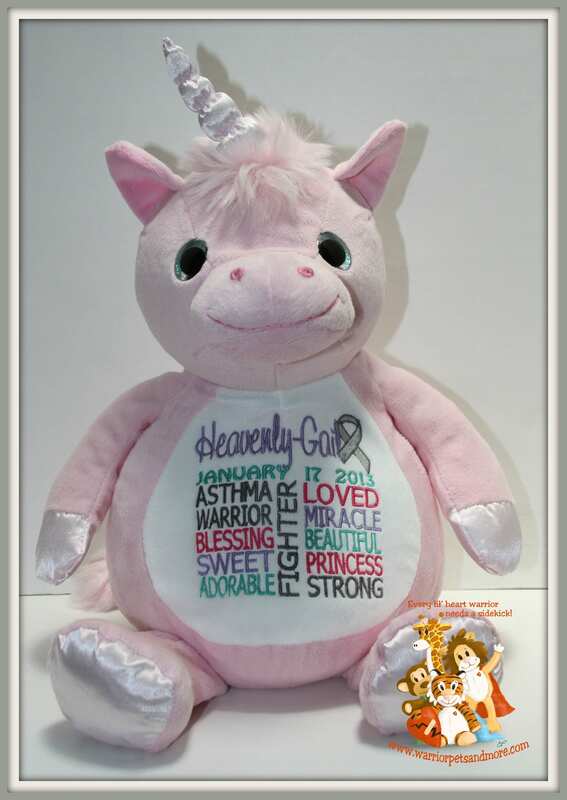 For Children with Asthma - Each pet is personalized with the childs name and date of birth. Each Warrior Pet brings a smile to the face of these little children that have asthma. Not only does it symbolize their strength, it gives them something to cuddle with during doctor appointments and hospital stays. These pets are approx. 16"
If you would like the Asthma Warrior Design on another pet, please check with me for availability.